Only just after it leaked out, the folks at HDMI Licensing are announcing HDMI 2.0 officially. Arriving just in time for the wide rollout of a new generation of Ultra HDTVs, it adds a few key capabilities to the connection standard. With a bandwidth capacity of up to 18Gbps, it has enough room to carry 3,840 x 2,160 resolution video at up to 60fps. It also has support for up to 32 audio channels, “dynamic auto lipsync” and additional CEC extensions. 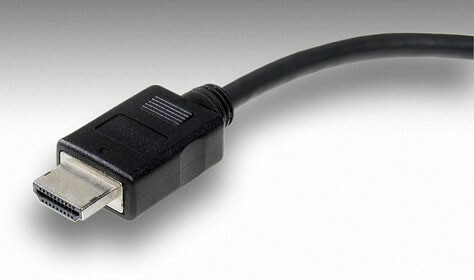 The connector itself is unchanged, which is good for backwards compatibility but may disappoint anyone hoping for something sturdier to support all of those suddenly-popular dongles. The cables won’t change either, as the group claims current high-speed Category 2 wires can handle the increased bandwidth. Some companies have suggested upgrade paths for their UHDTVs already on the market — hopefully we’ll find out more about those plans this week at IFA 2013. Posted in audio, videoTagged 4k, 60 fps, HDMI 2.0Bookmark the permalink.